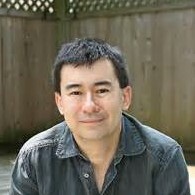 Peter Ho Davies is a contemporary British writer of Welsh and Chinese descent. Born and raised in Coventry, Davies studied physics at Manchester University and then English at Cambridge University. This interview was conducted via e-mail by Interview Editor Crawford Pederson. Of the process he said, “Peter Ho Davies' The Fortunes, is a sprawling novel that encompasses hundreds of years and many different characters. He writes with an awareness and firsthand knowledge that few have. This interview gives a glimpse into the well traveled life of a very talented teacher and writer. I am honored he took the time to talk to me.” In this interview Peter Ho Davies talks about the stickiness of stereotypes, his students, and wave-particle duality. Superstition Review: The first section of your novel The Fortunes, titled “Gold,” takes place in the 1800’s. I really enjoyed reading about that time period. Could you describe the research that went into writing about 1860’s America? Peter Ho Davies: Much of it was reading, of course, and museum visits etc, but since the section deals in part with the building of the Transcontinental Railroad over the Sierras I was also able to take that journey a few times – both my train and also by road. The contemporary rail-line doesn’t follow the original route exactly, but by car I was able to drive to and explore one of the early tunnels dug by the Chinese through the mountains. While I couldn’t, of course, travel to the time of the narrative, those visits to its location were very helpful in allowing me to picture the setting. SR: I was so impressed with the way you handled time shifts in the novel. How do you seamlessly flow from one time period to another? PD: That’s kind of you, though of course in one sense the seams are very apparent – the end of one section and the start of another mark leaps in decades. That said I wanted the sections to speak to each other – there are a lot of echoes and call-backs intended to serve as stitches for those seams. It’s true too that within each section the characters often remember the past. In those instances, if the flow seems seamless it’s likely down to staying close to the characters' points of view. Ideally, the temporal moves aren’t forced by me, but come organically from them and their thoughts. SR: Identity plays a key role in The Fortunes. How was your identity affected from your own immigration to America in the early 90’s? PD: I’m interested, among other things, in stereotype in The Fortunes, that particular and narrow sense of identity perceived and imposed on us by others. In my own life that’s been felt as a kind of vulnerability, the feeling that whenever I walk into a room and am perceived as Asian, people begin to make assumptions, draw conclusions about who I am without knowing me (we’re all subject to this to some degree - minorities, but also women, and men too, based on their looks, how they dress etc). What I remember as being freeing when I came to the US is that people could still make those assumptions about me, but as soon as I opened my mouth and a British accent came out, those assumptions became scrambled. I no longer fit some type, I had to be reckoned with on my own terms as an individual. All of us, of course, diverge from the narrow types imposed on us by others. I was just lucky to have a very immediate way of demonstrating that. It made me feel as if I didn’t need to care as much about what others thought of me. The fear, of course, the burden of that scrutiny is that those others might be right about us – most stereotypes after all, like cliché’s contain a partial truth, which is what makes them so perniciously “sticky”. These kinds of encounters in the US reminded me that others couldn’t know the truth of me, that my identity was fundamentally mine, and not theirs. SR: You originally studied physics at Manchester University. How did you make the switch into creative writing and how have your studies in science affected you as a writer? PD: I wrote my first serious story, the first story I published albeit several years later, just about the time I started my physics degree and in a sense the potential it represented derailed my “sensible” career in science. In truth, while I was a hard-working student, with some gift for math (see what I mean about the stickiness of stereotypes?) I didn’t have a particular talent for physics, though I did finish that degree (the British university system essentially requires you to declare a major before you go to college so I was kind of obliged to see it through or drop out). Afterwards, I actually did a second undergraduate degree in English at Cambridge (it helped, of course, that in Britain then the tuition for my first degree was paid for by the government). I’d likely have taken a masters in creative writing, but those programs barely existed in Britain back then so a Lit. degree seemed a way of finding my way back to writing, though that journey was only really completed when I went to grad school for writing in the US. As to how science affects my fiction, I used to say I turned my back on physics, that I didn’t remember any of the theorems or formulae of those years, that my time in Manchester was mostly notable for making me a lifelong Manchester United fan…but actually parts of that physics study, especially the concept of wave-particle duality, have been very important to my writing. Wave-particle duality – the idea that light or matter can be understood by these seemingly mutually exclusive concepts – is fairly well known now, but it struck me 30 years ago as a revelation. The idea that one thing – light, or matter – could be understood in two diametrically opposite ways fascinated me, and to this day it informs the way I think about my characters. They’re never one thing or another (or I hope not!) but always a mixture of opposites, of contradictions. And, of course, what goes for characters is what I believe too of people. We’re none of us good or bad, but good and bad. SR: The “Silver” section of The Fortunes is written about the first Chinese American film star Anna May Wong. How did you feel writing about such an important historical figure? How did you go about ensuring that you were giving due respect to the real life person? PD: There are a couple of fine biographies about Anna May, as well as a few other fictional versions of her life, so I never felt the burden of writing the first/definitive account of her. (By contrast the historical figure in the first section of the book – Ah Ling – is largely unknown and the real figure in the third part, Vincent Chin, hasn’t been much explored in fiction.) The challenge actually in regard to Anna May is that so much was already known about her – she was a global celebrity in her day – that I wasn’t sure where I would find the fictional “wiggle room” to imagine her without at the same time contradicting the historical record. What freed me was the sense that she – like any contemporary celebrity – must have had a private as well as a public face, and that for all the interviews she gave, all the quotes we have may not represent her true feelings. The signal example of this is her line that “the only happiness is with someone of one’s own race” a public sentiment it made sense for her to express in interviews given the prevailing anti-miscegenation laws and the prohibition on inter-racial relations on screen, but which is belied by the series of affairs she’s rumored to have had with white co-stars. Once I perceived that possible gap between what she’s on record as saying and what she may have truly felt she began to come to fictional life. SR: In an interview with http://fictionwritersreview.com you mentioned that your first novel The Welsh Girl was edited from 500 pages down to 150. That is a lot of cut material. How was the editing process for The Fortunes? PD: The Welsh Girl actually went from what I think of as the “kitchen-sink” draft of 500-some pages to a skinny 150, and then grew back out to its final length, around 350 pages – hopefully the Goldilocks version! That was a painful and painstaking process, of cutting and then folding back in much of what had been cut, but it helped me to see the essential elements of the book more clearly. The process with The Fortunes was quite different, with much less left on the cutting room floor. SR: This is your second novel following The Welsh Girl which was released in 2007. How do you think your writing has evolved since the publication of your first novel? PD: Individual books, like individual stories. always seem to pose new challenges to me. That’s what keeps the process interesting though it does often mean that the lessons of one book/story don’t apply to the next. All of which is to say there’s a feeling less of evolution than discontinuity (maybe quantum leaps to borrow a metaphor from my physics days). Almost the only “lesson” from The Welsh Girl that sustained me in writing The Fortunes was that in both cases the books arrived at a point where they seemed impossible to finish. Having gotten though the first in spite of that, I was a little less despairing when that moment came in the second! Looking back at them both now with the benefit of a little hindsight, they seem despite their obvious differences in setting and material, intricately related. Both are very invested in questions of identity, most obviously, but there’s also a formal tension in each. The Welsh Girl is in a way a novel framed by a related novella, and The Fortunes is a kind of novel-in-novellas. That may be an evolution, I guess, or maybe just a further revelation of my own writerly obsessions and proclivities. SR: You are currently teaching at the University of Michigan. How has your journey as a professor affected you as a writer? PD: Of course, many teachers of writing like to grouse about the time teaching takes away from their own writing – I’m sure I’ve done it myself – but it’s just as true that my academic career has given me the time/support to write my books, which often come slowly. In my own experience in any event it’s less teaching that that takes me away from my writing (teaching often feeds it, actually), so much as the administrative work, committee service etc, that comes with being a faculty member. Even that labor, though, contributes indirectly to something I deeply value in academia: the sense of a collegial community of writers. SR: Can you talk about some authors that you enjoy discussing in your classes? PD: There are so many! It’s always a thrill say to teach Joyce’s “The Dead” and see students vying to read the famous closing passage. Students are often reluctant to volunteer to read in class, but that’s a section that many of them love to read and it’s lovely to see that passion for beautiful prose. Still, when I think of books I love to teach I often think of those that have informed my work. As noted above there’s often this tension between teaching and writing, the sense that one steals time from the other, so I find it heartening to dwell on the books I’ve taught that have also inspired me. Jennifer Egan’s A Visit from the Goon Squad and David Mitchell’s Cloud Atlas are a couple I’ve taught to undergrad Lit. classes (I often offer a course called “Very Contemporary Fiction”) and I took heart from their unconventional structures when working on The Fortunes. With my grad students I also teach a class in the history of the short story in which we talk about two strands, or streams, in the development of the form – a realist one (Chekhov, Hemingway, Carver etc etc) and a more fantastical one (Kafka, Borges, Angela Carter etc etc). Students in the class do short imitations of classic works as well as write longer stories inspired by what we’ve read (a subtext of the class is the issue of influence and how we negotiate it) and I often encourage them to go out of their comfort zones, to write in both of the realist and fantastical modes. It dawned on me in the process that much of my work belongs to the former category and while that’s probably my “natural” home, I’ve enjoyed writing in the other vein too and it’s allowed me to tell stories I wouldn’t have been able to tell in a strictly realistic fashion. SR: What is the best advice you've ever been given as a writer? What is the worst? PD: The worst advice is “stop” or “quit” or “don’t” (it comes in myriad variations, and is even offered by those who care for us, usually with the best of intentions). The best advice, by contrast, is all the versions of “keep going” (and the best person to give it is ourselves). PD: I’ve had several over the years – their common denominator is usually good light, and a large work surface – but these days I don’t have a specific one. Notionally, I do have a home office, but while I do a lot of class prep in there, I find myself doing most of my writing – at least during the week when I have the house to myself - at our dining table. It’s probably not coincidental that I like separate spaces for the two activities, but the dining table also seems more casual somehow. I can sort of “sneak up” on the writing there, whereas going to the desk in the office to write has a kind of weight to it. In general, as the years go by, I’m less precious about where and how I write. Becoming a father 12 years ago obliged me to become more flexible. I used to feel I needed big blocks of time to write, say, 2 or 3 clear hours, and then had to learn to make the most of a baby’s 45 minute naps. But that’s all too the good, I think. The fetishization of writing habits and writing spaces can be a form of magical thinking.